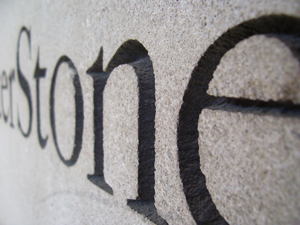 Engraved signs such as nameplates, plaques and directionals offer a quality, professional look at a very reasonable price. Available in a variety of sizes and colors, engraved signs have many applications and are easily installed and changed as necessary. Contact us today for a complete catalog of engraving materials and framing options.